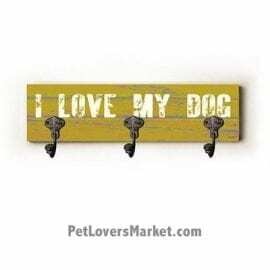 Where do you hang your dog’s leash? 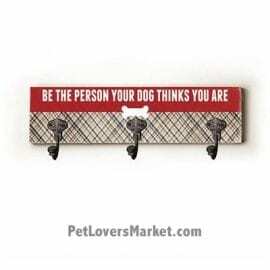 Buy a dog leash holder with wall hooks! 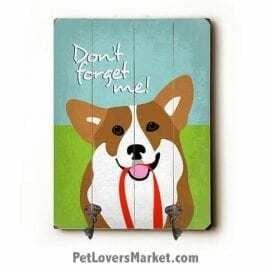 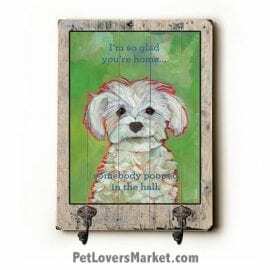 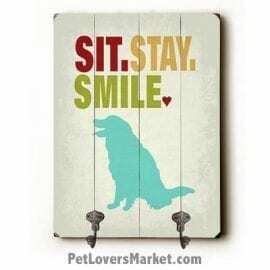 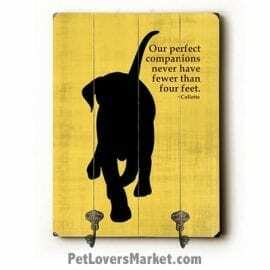 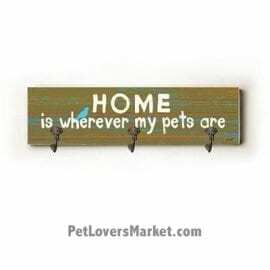 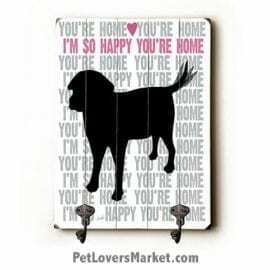 Our wall hooks feature beautiful dog pictures, funny dog pictures, and dog quotes. 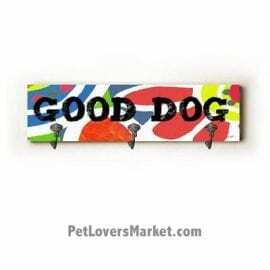 Each dog leash holder is made in USA, eco-friendly, and high quality with archival quality ink. 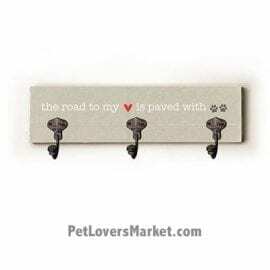 Our wall hooks can be used as coat hooks, wall mounted coat rack, key holder, key rack, dog leash holder. 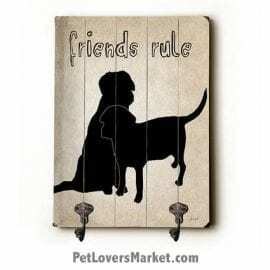 Give as gifts for dog lovers! Ready to be mounted on the wall, our wall hooks are attached to inspirational and funny dog signs for dog lovers. 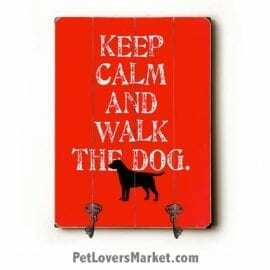 Ready to walk the dog? 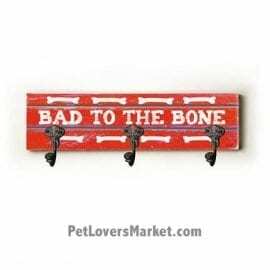 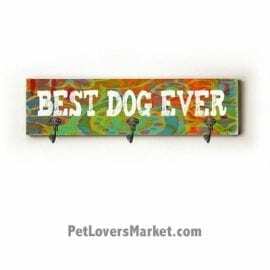 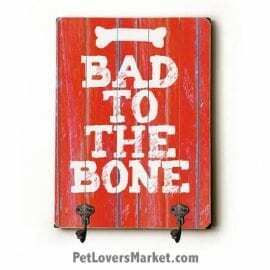 Just grab the leash from our dog-friendly and decorative wall hooks!